Happy Labor Day weekend! Telling you again... Consider coming along! This post will end a quiet week for the blog, as I am took some time to immerse myself in pending projects and family time. As this week comes to a close, there remain some spaces available for the November 2nd Shop the Garment District tour. I have learned so much in my years shopping around the district, and since I've been mining the district for this blog, that I am truly excited to share this info and experience with you! Come along! A version of this post was originally posted on my personal blog, in January 2008. Strangely enough, the "Atonement dress" post continued to attract quite a few visitors to the blog. I really don't know why. I can only assume that people are drawn to this dress, and want to capture a bit of that magic in their own lives. They want to know who made it, if anyone has knocked it off, where can they buy it, perhaps? I wrote the earlier post because of a lovely article in The New York Post (which I don't normally read) about this dress (above), made for Keira Knightley's character in "Atonement". 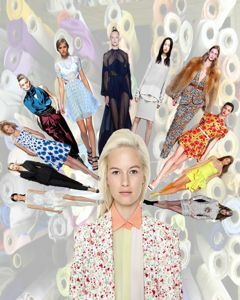 Make sure you read on to page two of the article, where the costume designer's (Jacqueline Durran) inspiration is explained. I adored this article, because, unlike so many others, they don't make it seem that anyone just "whipped up" a little number for her. The article really lets you know that specificity, specialness and art take a considerable amount of time, expense, and experimentation. But what really puzzles me, is the incredible interest in this dress, considering how obviously specific it is to Keira Knightley's body, lighting and set design of the film. Most women of any age are... well, three dimensional, and wouldn't carry off such a design too well. I mean, imagine trying to disguise a tummy bulge, rounded shoulders, a droopy bosom, hips, anything at all, in that gown. It seems fitting that today, on my 16th wedding anniversary, I would feature the store that brought me so much joy and happiness about 16.5 years ago. I made my simple wedding dress at home that hot summer, while watching the olympics, using $100 worth of materials. Yes, seriously. But I glammed up my whole look at Sposabella Lace. They had (and still have) headpieces to die for. They sold (and still sell) beautiful lace for trimmings, etc. I added about $500 worth of headgear, veil and delicate pearl edging to my simple creation, and put together a really pretty ensemble. And I still have that tiara stored away (somewhere) for my daughter's use (maybe) someday. Sposabella Lace is a small store, with unusually beautiful window displays. It might feel a bit intimidating for the home sewer, as it isn't really the best place for browsing. If you know what you want, and are comfortable asking, you will get the assistance you need. Their salespeople are genuine salespeople, so be prepared to be asked if you are ready to purchase. They are a business, after all. For 29 years now. And they are more businesslike than many of the other stores in the district. There is a friendly, respectful formality there, which I really appreciate. Their focus is mostly bridal, so you won't find a great range of colors to choose from, but boy, will you find some beautiful things! 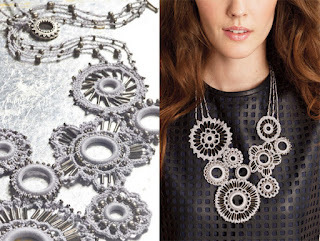 And if you're thinking lace for me, look to this post by Peter for inspiration. You don't need my pictures, since they also have a killer website. The legacy of the "Atonement dress"
Saw a lovely article in The New York Post (which I don't normally read) about this dress (above), made for Keira Knightley's character in "Atonement". Make sure you read on to page two of the article, where the costume designer's (Jacqueline Durran) inspiration is explained. I adore this article, because, unlike so many others, they don't make it seem that anyone just "whipped up" a little number for her. The article really lets you know that specificity, specialness and art take a considerable amount of time, expense, and experimentation. took EIGHT tries to make. This means seven dresses, wadded up and tossed aside before getting to this one, which moved with the dancer like absolute magic. So when you have to trash something on your way to achieving your vision, think of the effort involved in really creating something special. 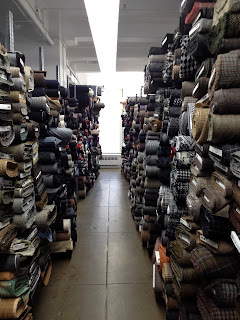 Garment District Info: Where does all of this fabric come from? In my professional life so far, I have worked for three textile companies. All of them had mills or production facilities right here in the USA. One was a cotton converter (meaning they printed on cotton) whose main advantage was the artwork created by their designers. The division of that company I worked for no longer exists. The second fabric company I worked for was an elastomeric (stretch) fabric company, who sold to most of the world's best known lingerie, swimsuit, and sportswear companies. The last one I worked for was a wool, cashmere, and luxury fabrics company, who sold to luxury clothing and home furnishing manufacturers, and also had a clothing division of its own. While working for these companies, I learned an awful lot about the fabrics they sold, the production process, and how the system works. Lemme tell you... the process is fraught with potential disasters, scheduling problems, dye problems, overage and/or shortage problems, payment problems, equipment problems, shipping and documentation problems... you've got to REALLY know what you're doing, on SO many levels, and know who you are dealing with, to stay in business as a textile company. The amount of effort they put in is admirable. Which brings me to my bigger point. The rent these businesses have to pay to maintain a space in the garment district is HUGE! What an effort a fabric store has to make to even SURVIVE, much less thrive in the district these days. Seriously Herculean. One store owner said to me, "If I could just get even three more customers a day, do you know what a big difference that would make for me?" I mean, really, they are doing their best to offer us great stuff at great prices, and I admire them all for even being willing to try! So where does all that great fabric come from? 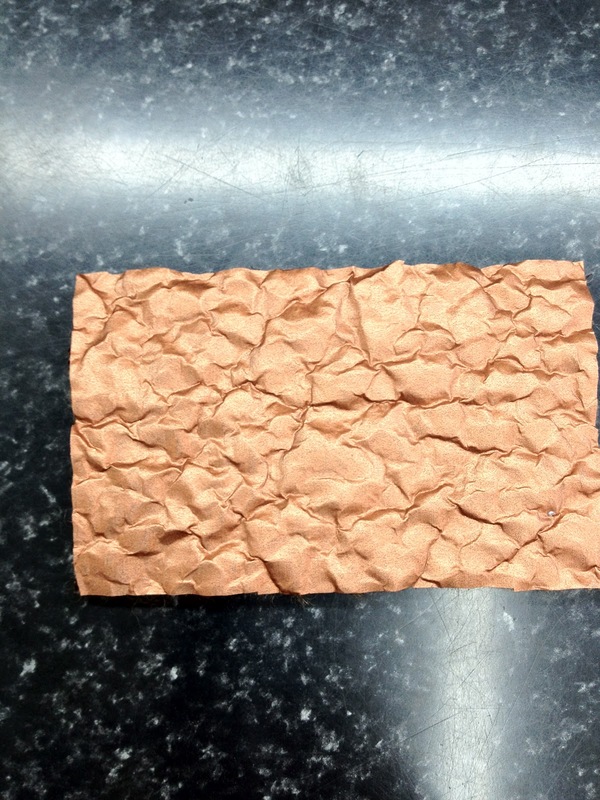 There are times when fabrics, produced by textile mills are rejected by the intended customer for a variety of reasons. 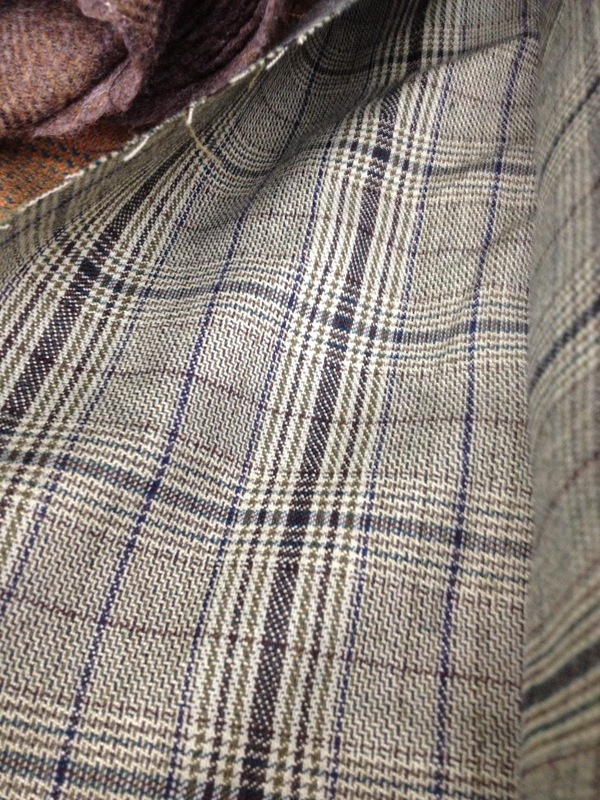 The reason for their rejection does not always render those fabrics status as "second quality goods". They just weren't suitable for the intended buyer. There can be quality issues, like oil stains from the machines, or dye problems, machine stop marks, streaky colors, thread or weaving issues... the list goes on and on. However, when you personally need just a few yards for a project, these kinds of problems will likely not matter so much to you, especially if you can cut around them, or don't notice a small imperfection. 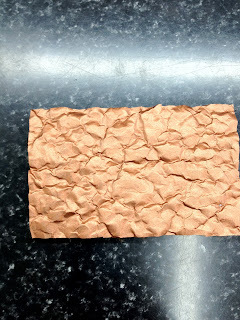 This leftover fabric is often taken by whoever will pay for it, and ends up being used by another manufacturer, or in a fabric store. there can also be production overruns, discontinued colors and styles, and other reasons why the fabric is available to you as a retail customer. 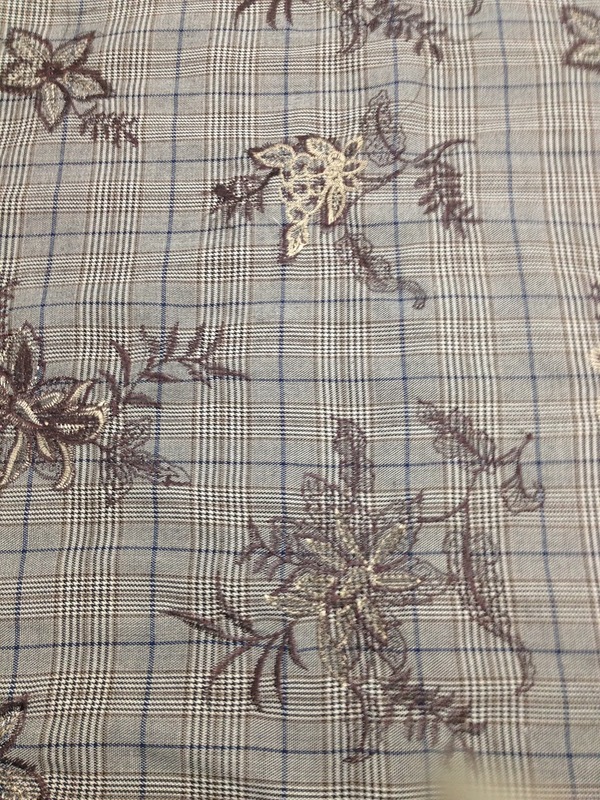 Some fabric is specifically made for the home sewing market and retail customers not buying in large quantities, and is sold directly to the stores. The fabrics you find are made in many different countries, with quite a variety of fiber content variations, and you won't necessarily know how to launder and care for it. Some stores have knowledgeable staff who will give you care instructions if you ask (New York Elegant, Spandex House, B&J, Mood, and Rosen and Chadick come to mind), but some will have no idea, and offer no assistance at all. 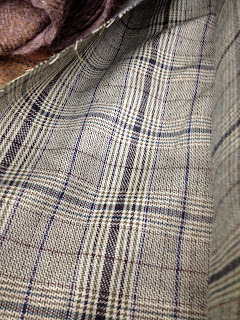 If you are already here in New York, and don't mind making more than one trip to the garment district, you can always get swatches (most stores allow this) and wash test the fabrics yourself for comparison. You can also do burn tests at home, if desired. Don't abuse the ability to swatch! Try to only do it for fabrics you actually intend to buy. Stores impose limits because of swatch abuse by the indecisive... and students... ahem. Sometimes you find something so inspiring, you simply MUST take a swatch, and figure it out later. 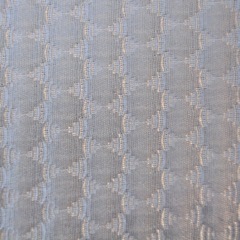 An example of this is below, from New York Elegant Fabrics. 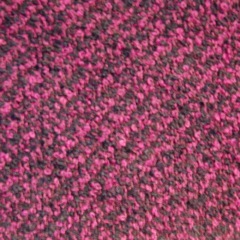 I saw this puffy, weird, textural fabric, and wanted to squeal with delight. 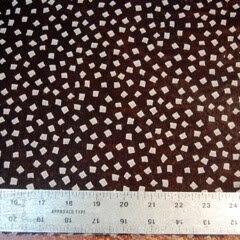 I asked one of the staffers (who I know was a textile designer before her career at NY Elegant) I regularly chat with, what she thought this fabric could be used for. She shrugged, and said "Jacket?" Sounds like that could be pretty cool. I thought about this... until this morning.... when it hit me like a thunderbolt!!!! In the spare time I don't have, I really want to recover my sofa (messily, on purpose) in an exaggerated, prehistoric animal print. This is Flintstone cartoon inspired... bear with me here... 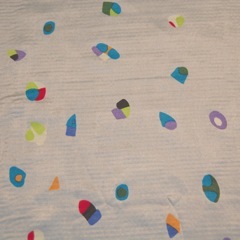 I am often inspired by cartoons... and the "rock" pillows must be made of THIS FABRIC! Oh, I just ACHE to make this happen!!!!! Where oh where will I find the time????? A picture doesn't do it justice. Had to be a video. So there ya go. Find your inspiration. Go fabric "window shopping", and you'll find things that will haunt your dreams. And see my previous post if you would like to join me on a garment district tour on November 2nd this year. Pssst... And now... adding a November 2 Garment District Speakeasy Tour! I'm scheduling a second one-day, "best-kept-secret" garment district shopping trip on Friday, November 2, 2012. Friday is the chosen day of the week because all garment district businesses will be open. You can still even catch a Broadway show or museum exhibit while you're here! Space is limited. Too big of a crowd is no fun. Registration requires advance payment. There will be no others during the cold winter months, but, if demand merits it, I will schedule another one for the spring. As you may already know, I regularly make a million runs to the garment district for the things I need/want on a VERY frequent basis. A few times a week, I need to run here or there to grab this or that, but frankly (and dangerously), this habit is feeding my greed for more stuff. People often ask me to post things I have created, and I'm never quite sure how valuable that is, since my clients usually want something suited to their own individual tastes and lives, but the bigger point is this: The garment district is constantly changing. The stores are constantly changing. New merchandise is flowing in, flowing out, and new palettes and moods are ever-swirling in this creative stew of an environment. There is something for everyone, for every shade of taste a person can possibly have. For every lifestyle. For every mood. Today, in the hot summer weather, with a wriggly seven year-old as my sidekick, I ran into the garment district to grab a few things. Our first stop was SIL Thread, where I grabbed three zippers. Found EXACTLY what I needed, in the colors I needed, with no problem at all. I didn't need them cut to size, but I'm often amazed at how many people need their zippers cut. Maybe since I design so many of the things I make myself, I don't worry as much about the specific length as others do. I typically just design the opening to suit the length I buy. Total elapsed time was less than 5 minutes. The second stop was Rosen & Chadick Fabrics, for a bit of research for a few upcoming projects. A wave of inspiration hit, as usual, and I dared to go upstairs to look at some fabrics for fall. Wow, did I see some gorgeous stuff! My gut drew me to these three, specifically. 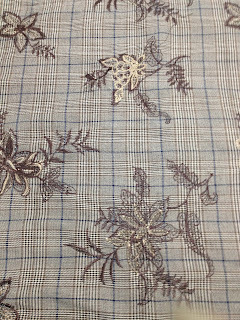 If you could just FEEL this fabric, you would know why I swooned. These colors really dance together. 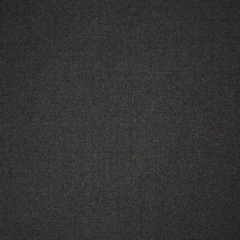 Oh, and I brought a fabric home that we'll talk about later. After the weekend. Pretty exciting. Trust me on this. This photo is from Vogue Crochet May 2012. Can you blame me? And finally, we went to Beads World to find the beads for the above project. So aptly named. In this store, I experienced something I almost never do. I was completely overwhelmed. Trays and trays of beads in endless colors... frantic negotiations between buyers and staff, the specifics of which I can't even begin to understand. I put my tray and selection down, grabbed my son's hand and left, resolving to try that again another day. Here's the thing. I suggest you visit Beads World's website to see what I mean. Where do I even start with that place? I can't even form a review yet, because I couldn't even THINK once I walked in. This is not a negative. I just wasn't ready for it. The point is, my mind's eye needed to see my project, before the vast selection was in front of me. Lesson learned. Total elapsed time in the district was 45 minutes. Over and out! I've been there countless times over the years. Fun place! 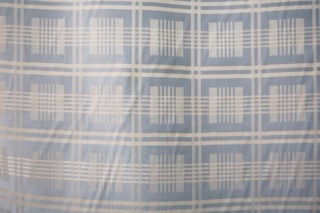 Pssst.... Metro Textiles - A Shop the Garment District exclusive! I think I mentioned that he gets designer input to lead him in the right direction for choosing his fabrics, and boy, do the shoppers respond! However, I must admit, I've been in his store twice in the past week, and only noticed one or two of some fabulous fabrics which have been selected to be moved out of the way, in an effort to make room for new ones. So get this... if you want to order any, at his typical great prices, you have to call, email or fax (if you are suitably old-fashioned enough that you still fax...). He has no online ordering set up, and is happy that way, thank you. Besides which, you will want the pleasure of speaking to him directly. Seriously. He and one of his designer/advisors have assembled a grouping that is lovely, and won't be around much longer. They were kind enough to share these pictures with me, and I am showing them to you. Again, this is not for online/shopping cart ordering. You can physically go to the store, or call, email or fax your order, but you seriously have to act fast. This is a good, old-fashioned sale! We at Metro Textiles Corp, like to keep our clients in the know. In an effort to do so more efficiently, we are sending out monthly reports on new products. If you are interested in any of these items you are welcome to come by our store, order by phone, or e-mail. Charetreuse silk twill! 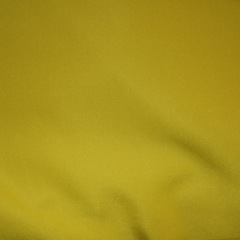 44" wide $30 per yard - Chartreuse is THE COLOR for fall! 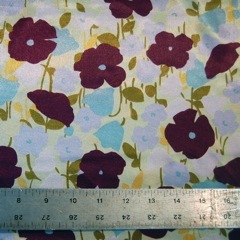 Warhol floral print Charmeuse 60" wide $8 per yard - Graphic prints are REALLY big right now! Abstract print - Hammered silk - also in pink. 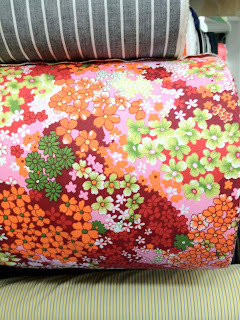 44" wide $15 per yard. 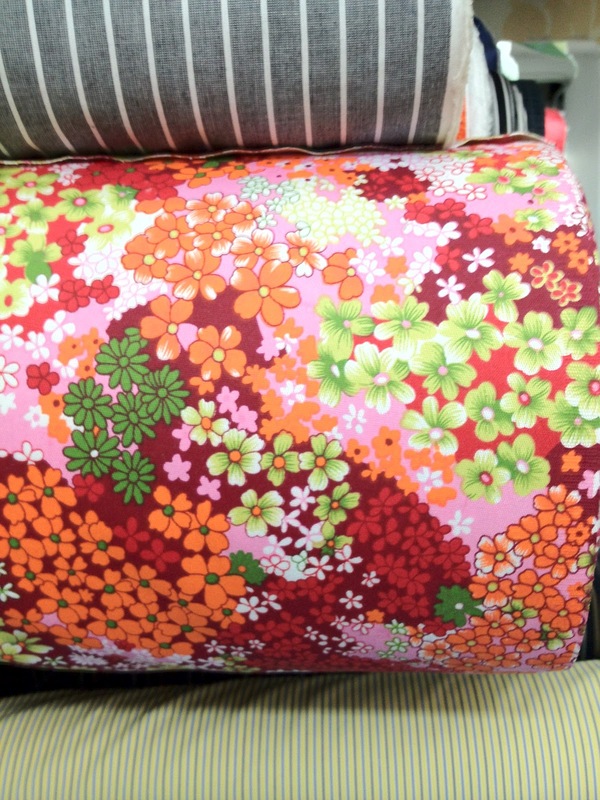 Sweet little print reminiscent of simple Japanese design. 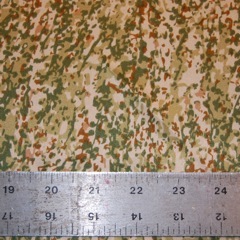 Abstract print: Polyester charmeuse 60" wide $8 per yard. 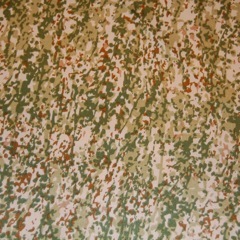 Unusual prints are in! White print on black polyester chiffon - 60" wide $8 yard... Get this... coming soon in KNIFE PLEATS! Fantastic hand! 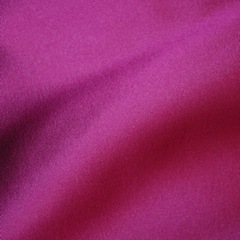 Beautiful, soft, japanese silk with a lovely sheen. 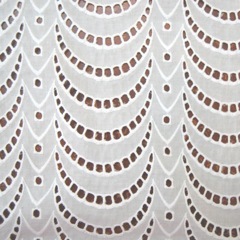 White eyelet - cotton (also in black) 56" wide $14 per yard. A new take on eyelet. Very versatile! 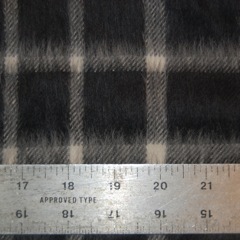 Windowpane camelhair 60" wide $35 per yard. 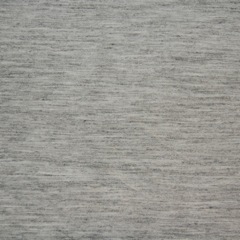 Amazing camelhair with a fantastic hand! 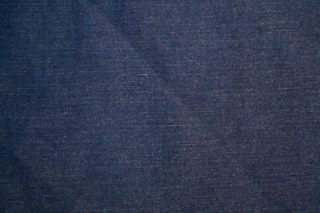 Navy silk/linen 44" wide $20 per yard - Great drape and fantastic hand! So, now you know. Give him a call, stop in the store, or send an email to purchase any of the above. I'm sure it goes without saying that as any legitimate business does, he accepts all major credit cards, too.